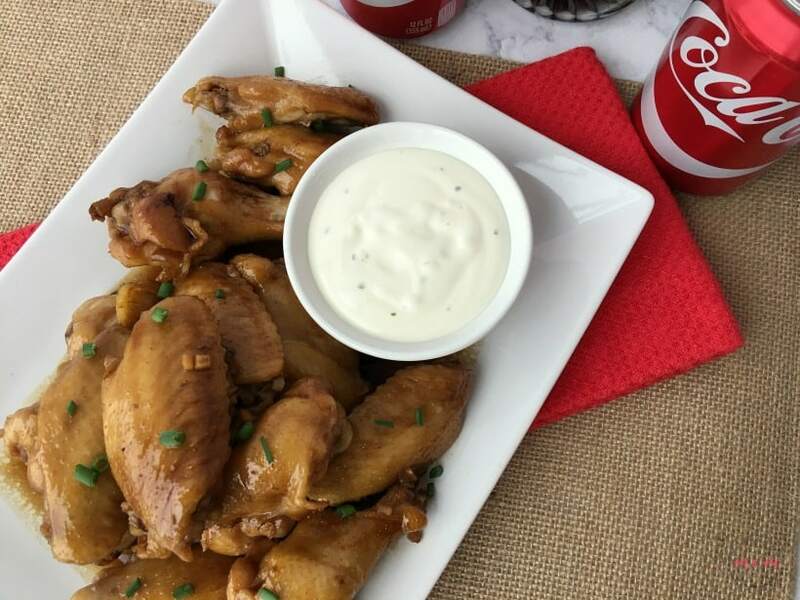 As the weather gets colder, many holidays loom closer and this sweet & spicy Coke Chicken Recipe for wings is the perfect appetizer for any holiday party! They are moist, juicy and bursting with a mix of sweet and spicy flavors to hit all the right notes. Plus, they aren’t too spicy for the kids. Mine gobbled them all up! I’ll show you how easy they are to make and you’re sure to have a hit at your party! I’ve seen variations of this recipe in the past and I have tweaked it to the perfect consistency and blend of flavors. These are a hit with kids and adults and you can tweak the spice to your liking. Like lots of spice? Just add more cayenne pepper. Want kid-friendly? Just add a little! Boom! A holiday hit recipe that everyone will love. No matter what occasion you are entertaining for, you need to have beverages and delicious food on hand. We head to Sam’s Club and stock up on beverages for the party. 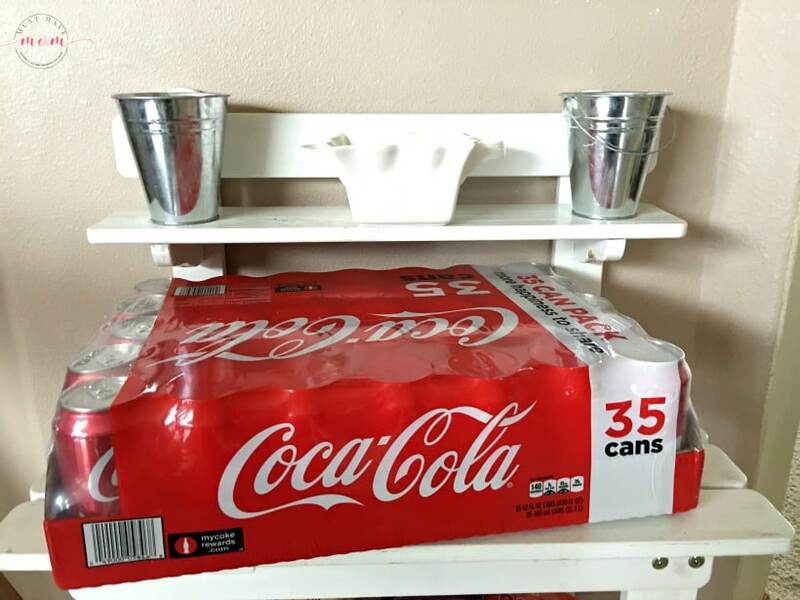 We grabbed this 35 pack of Coca-ColaⓇ cans which will double as beverages and the star ingredient in our Coke Chicken Recipe! The wing sauce is to die for! When you purchase Coca-ColaⓇ products at Sam’s Club you can enter to win a grand prize sweepstake trip to LA to see ‘The Greatest Showman” by uploading receipts to HelloWorld! Full on-site assistance from a personal winner manager throughout the trip Don’t miss this incredible opportunity! For this Coke chicken recipe, you’ll need the following ingredients. 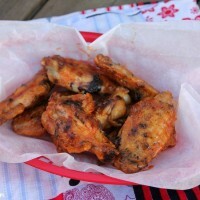 Begin by placing the chicken wings on a wire rack placed on a baking sheet, skin side up. Bake at 425 degrees Fahrenheit for 20 minutes. While the chicken wings bake you can begin making the Coke chicken sauce. 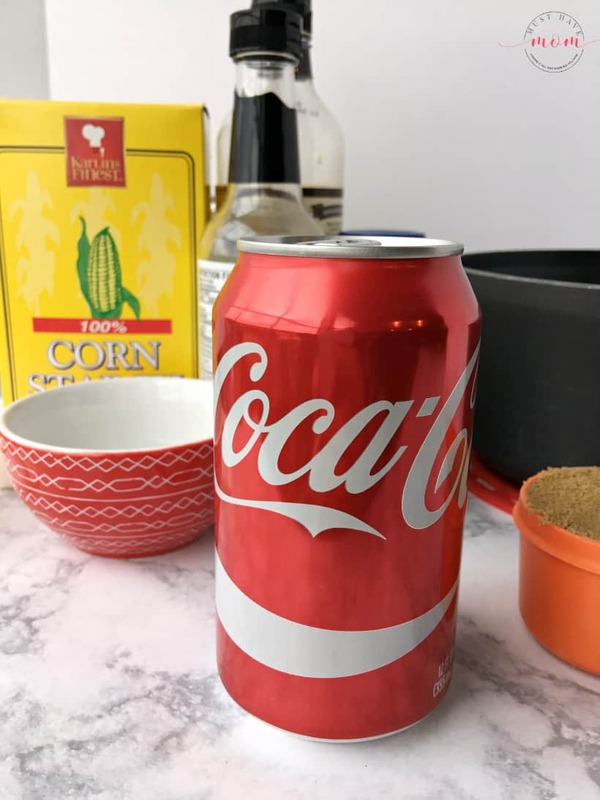 In a medium saucepan combine the can of Coca-ColaⓇ, brown sugar, garlic, coconut aminos (or soy sauce) and Worcestershire sauce. Bring to a boil over medium heat and continue to boil until liquid reduces (approximately 6-8 minutes). Remove from heat and stir in cayenne pepper. I added about 1/2 teaspoon to mine and they were not spicy at all (the kids all ate them). If you want more spice add one teaspoon or more. 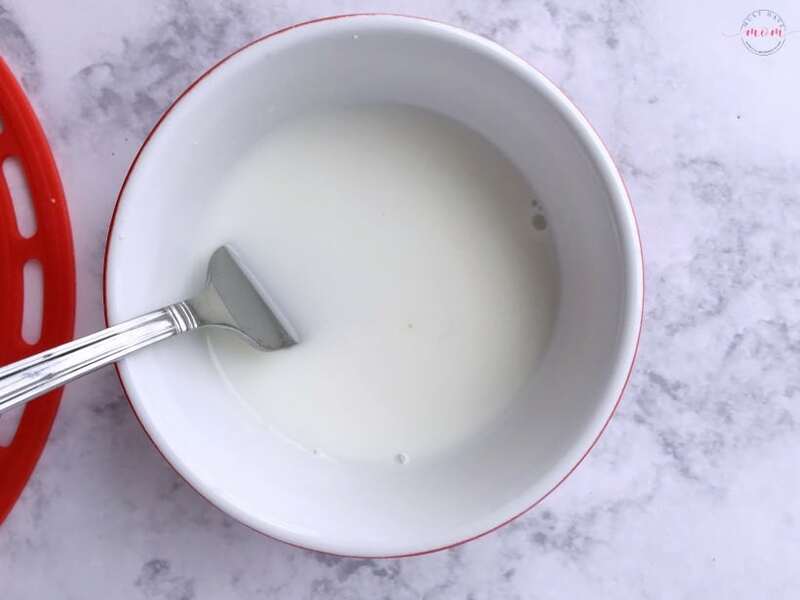 Mix together water and cornstarch in a small bowl and add to saucepan. Whisk to mix in and thicken sauce. It’s okay if the sauce isn’t super thick because it will thicken in the oven as well. Now, remove chicken wings from oven and pour sauce over them. Toss the wings to coat with sauce. 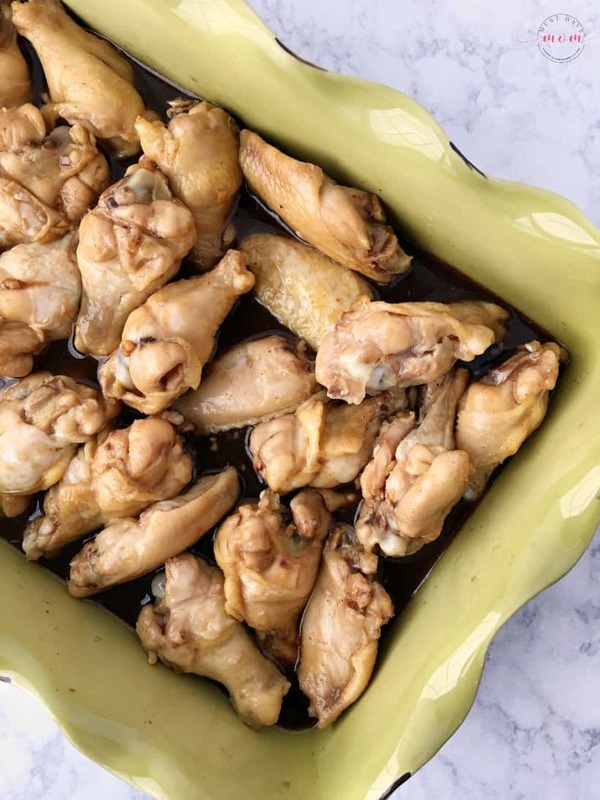 Place in a 9×13 pan and return to oven and bake at 425 degrees Fahrenheit for an additional 20-30 minutes until liquid is bubbly and wings are glazed. Turn halfway through cook time. Serve finished Coke chicken wings with a side of ranch dressing and top with sliced green onions. Pair them with an ice cold glass of Coca-ColaⓇ from Sam’s Club and you’ve got a tasty pairing! These wings were so juicy and delicious that I only got to eat 4 of them! My kids and husband quickly devoured the rest of them before I could grab any more! Needless to say, these were a huge hit in our house. This is the perfect recipe for any holiday party! You could also bake them and keep them warm in a slow cooker for the party. 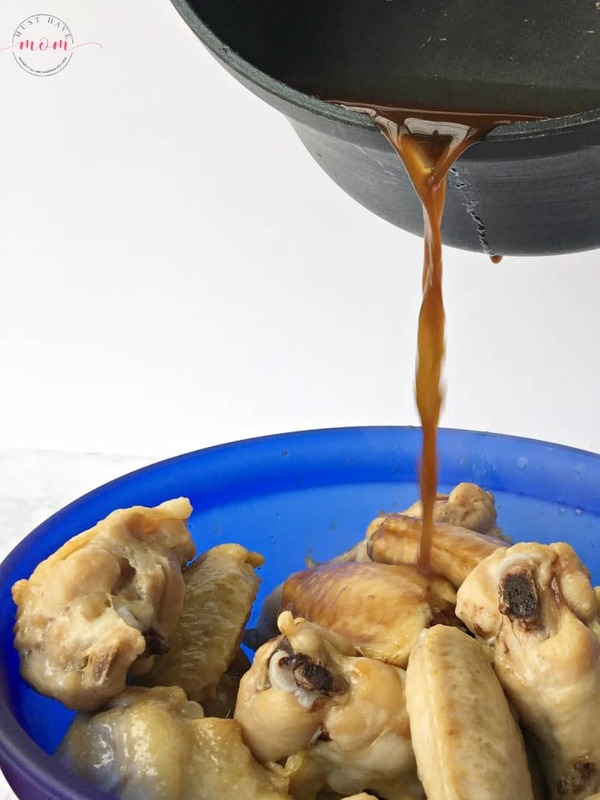 Sweet & Spicy CokeⓇ Chicken Wings Recipe! 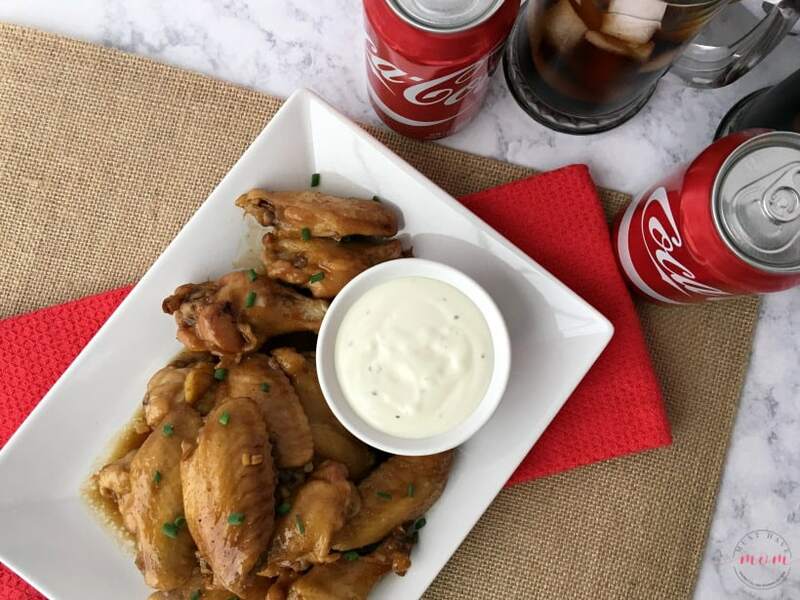 Sweet & spicy CokeⓇ chicken wings baked in the oven to create a delicious glaze! 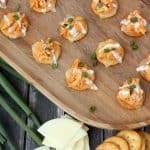 Perfect appetizer for any holiday party or gathering. 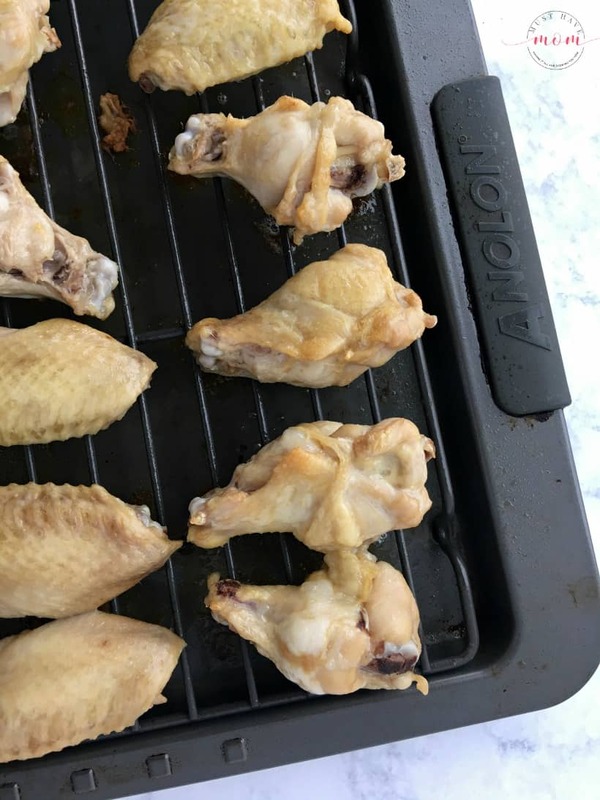 Place chicken wings on a wire rack placed in an baking sheet, skin side up. Bake for 20 minutes at 425 degrees Fahrenheit. In a medium saucepan combine CokeⓇ, brown sugar, garlic cloves, coconut aminos (or soy sauce), and Worcestershire sauce. Bring to a boil over medium heat and reduce and simmer until liquid reduces (approx 6-8 minutes). Remove from heat and add cayenne pepper. Mix water and cornstarch in a small bowl and add to saucepan mixture. Whisk to thicken mixture. Remove wings from oven and pour sauce over them. Toss to coat. Place in a 9x13 pan and return to the oven to bake for an additional 20-30 minutes until sauce thickens and is hot and bubbly. Turn wings halfway through cook time. Serve with a side of ranch and top with sliced green onions. Serve alongside an ice cold glass of Coca-ColaⓇ! 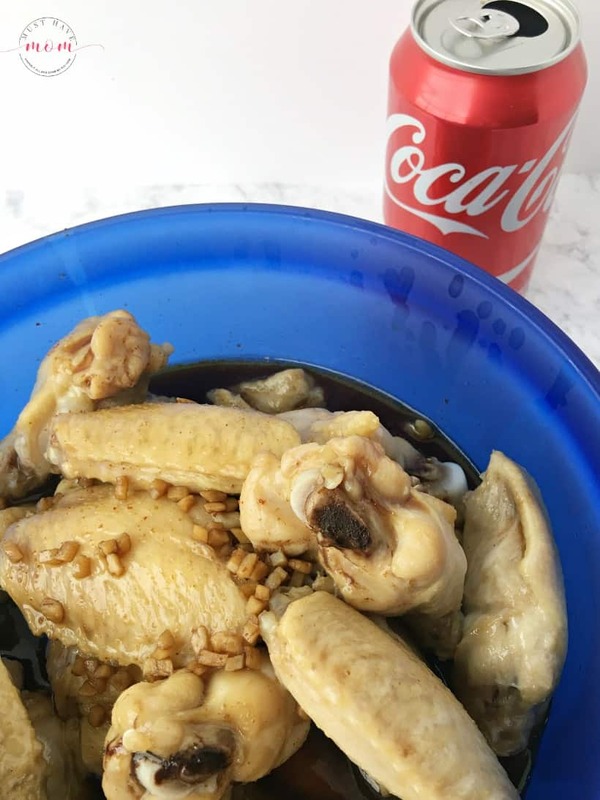 The COCA-COLAⓇ CHICKEN RECIPE is amazing and looks so delicious. 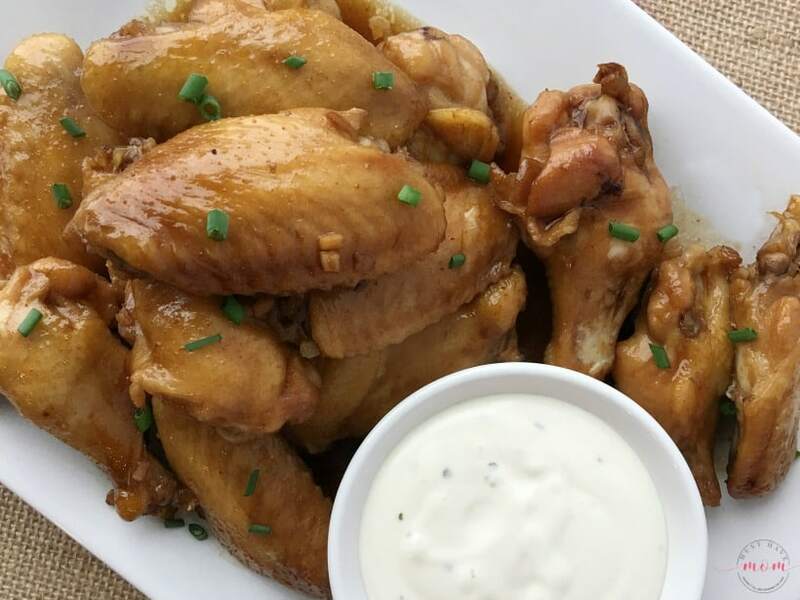 I am having wings as an appetizer for the Holidays and I like to make these and serve to my guests. Dang, those sound gooood. I think these would be a HUGE hit with my family!! Those wings look super tasty! I love to cook with Coke. I use it all the time with steaks and chops. These wings sound incredibly tasty. I’m a big fan of cooking with Coke. 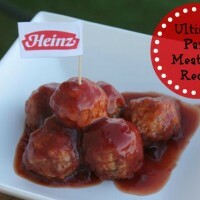 It adds a delicious flavor, and it makes the meat so nice and tender. This is an interesting recipe for Chicken wings. Now this looks awesome! 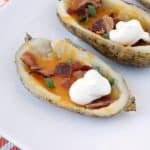 What a great way to fix something simple delicious and perfect for an appetizer for our holiday party. I have never cooked with Coke before but those look so good and I know my husband will love them. That is a great contest and another reason to buy Coke. YUM! 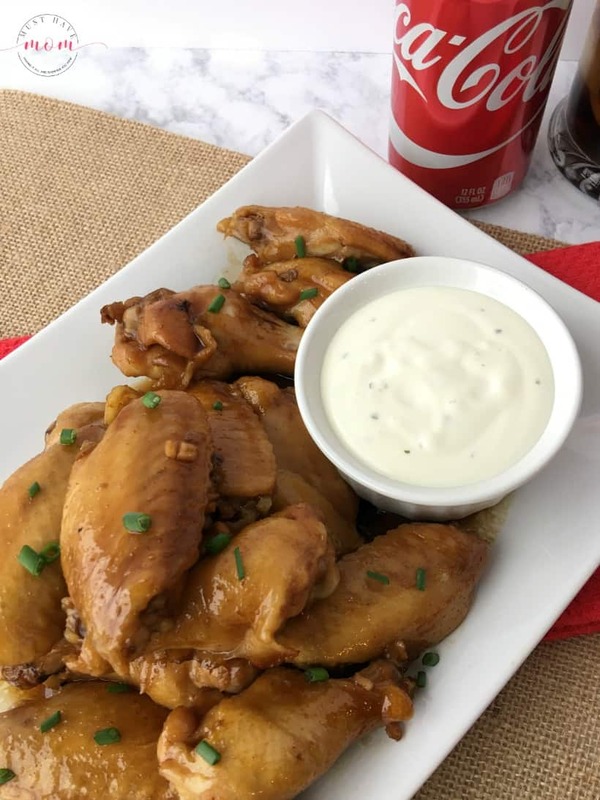 I’ve never used Coke for cooking – but we love wings and this looks like something I would LOVE! Thanks for the recipe! I looooooove chicken wing. Especially the sweet and spicy kind. I’ve never made them like this before, they look delish! These look delicious. I’ve never had them this way before. I have heard of many recipes with coke, just never tried them yet. I love how you can use soda to make yummy wings. These look good and I bet they taste great! 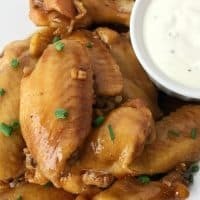 These wings look delicious! I like sweet and spicy for sure. I bet my husband would go for these too. I have tried a few recipes with Coke in them and they were all fantastic. I will have to try this chicken wing recipe on the weekend. I love this take on chicken. Since my family loves chicken, I will definitely be trying this recipe. Chicken wings are the best. I love adding Cola to the recipe! 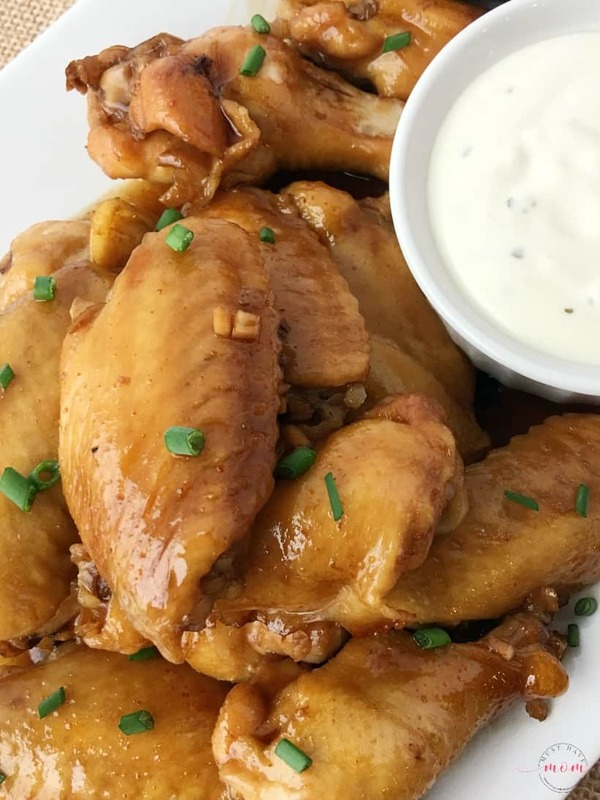 This is such a tasty wing idea! I love Coke and it must add some really nice flavor to the wings! Ooh yes! This recipe looks delish. I love mixing up sweet and spicy. My boys are gonna be in for one heck of a tasty surprise on game day. Thanks! Coca-Cola is the secret ingredient in my BBQ pulled pork. I need to try making these wings. These are definitely something I must try. They look yummy. Chicken wings don’t last long at our house. I can’t wait to try these. My hubbie LOVES spicy food and your chicken looks absolutely yummy. I bet the combination of sweet and spicy makes those hot wings something the whole family will enjoy. My family loves wings. These look like a great recipe to try out. This looks so delicious and flavorful! I’d love to try this recipe! My friend loves wings! I want to make these for her as a surprise! I know she and her hubby will love them!